physics, molecular biology and immunology to study the structure and behaviour of the complex molecules found in biological material and the ways these molecules interact to form cells, tissues and whole organisms. Biochemists are interested, for example, in mechanisms of brain function, cellular multiplication and differentiation, communication within and between cells and organs, and the chemical bases of inheritance and disease. 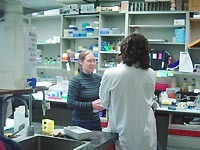 The biochemist seeks to determine how specific molecules such as proteins, nucleic acids, lipids, vitamins and hormones function in such processes. 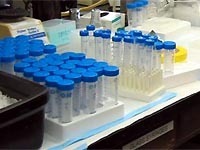 Particular emphasis is placed on regulation of chemical reactions in living cells. The knowledge and methods developed by biochemists are applied to in all fields of medicine, in agriculture and in many chemical and health related industries. 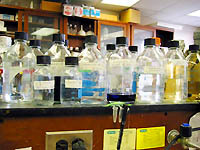 Biochemistry is also unique in providing teaching and research in both protein structure/function and genetic engineering, the two basic components of the rapidly expanding field of biotechnology.